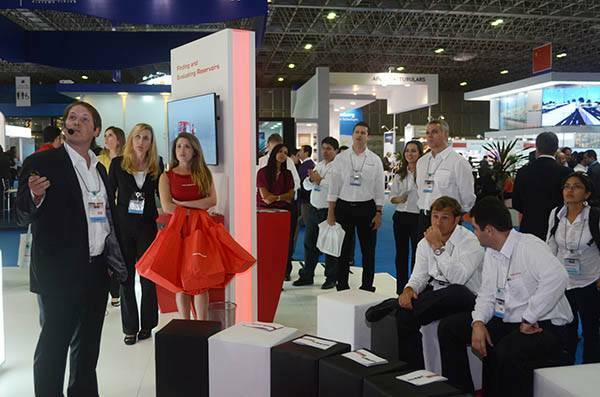 The Offshore Technology Conference Brasil 2013, was only the 2nd time the conference was held in Rio de Janeiro, Brazil, yet it was obvious that the conference had grown in size and scope. 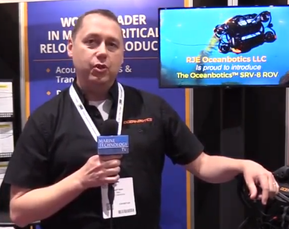 During the 3 days a long list of interesting and even some exiting Technical Sessions took place, addressing everything from Local Content to the latest in Deepwater Technology. 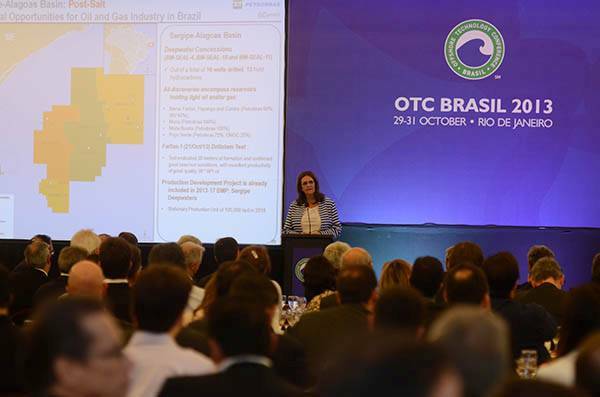 After the Opening Session on Tuesday October 29th, which was presented by OTC and IBP (Brazilian Petroleum Institute) senior executives and the OTC Brasil Technical Program Chairman, the main event was the Topical Luncheon on Planning and Management of Offshore Oil Opportunities in Brazil: Petrobras Perspective, which had as its speaker Petrobras CEO Maria das Graças Foster. Following an emotional speech about Petrobras’s history of E&P and how it influenced Brazil’s growth, Graça Foster said that the company must reach 4.2 million barrels/day of total oil production by 2020, which is the year that Petrobras’s Libra field is forecast to uncork first oil (Although some, including partners in Libra, believe this may be possible by 2017). According to Graça Foster, Petrobras will double its size to meet the growing demand for O&G, and that an estimated minimum of 12 drill rigs will be required for Libra. “In six years, it (Petrobras) will double its size. Our ultimate priority is the E&P area. In the following six years, the 'P' will be more important than the 'E'.” She also said that the Brazil is re-structuring the shipyard chain for the construction of drill rigs and tankers, as well as new refining plants that will be capable of doubling the current capacity. Graça Foster also presented the schedule of drill rigs such as the P-63, which has been concluded, and the P-61, set to be ready for operation in December 2013. The packed auditorium took in her words positively and immediately after her speech, part of the audience set off to one of the 10 rooms where a wide range of Technical Sessions were to take place, while another part stampeded to the Expo, which was held in an adjoining building.